Barcelona’s mayor says at least 460 people have been injured as police have used force to try to prevent voting in Catalonia’s independence referendum. 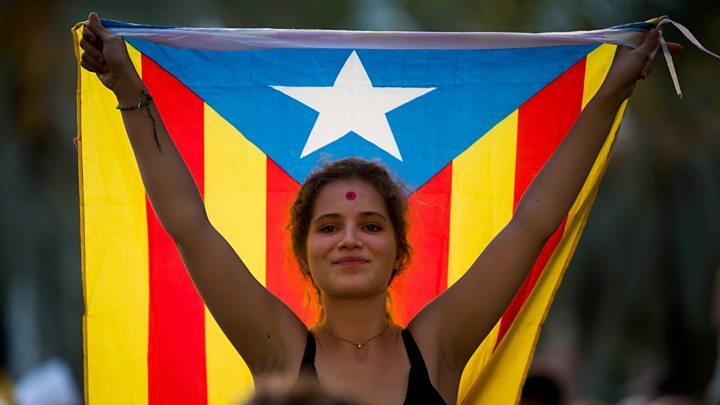 The Spanish government has pledged to stop a poll that was declared illegal by the country’s constitutional court. Police officers are preventing people from voting, and seizing ballot papers and boxes at polling stations. In the regional capital Barcelona, police used batons and fired rubber bullets during pro-referendum protests. Updating the injury toll to 460, Barcelona’s Mayor Ada Colau condemned police actions against what she said was the region’s “defenceless” population. Meanwhile, the Spanish interior ministry said 12 police officers had been hurt and three people arrested. It added that 92 polling stations had been closed. 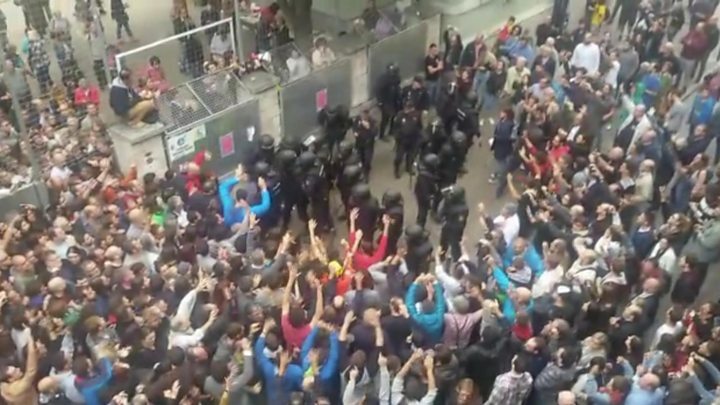 The national police and Guardia Civil – a paramilitary force charged with police duties – were sent into Catalonia in large numbers to prevent the vote from taking place. 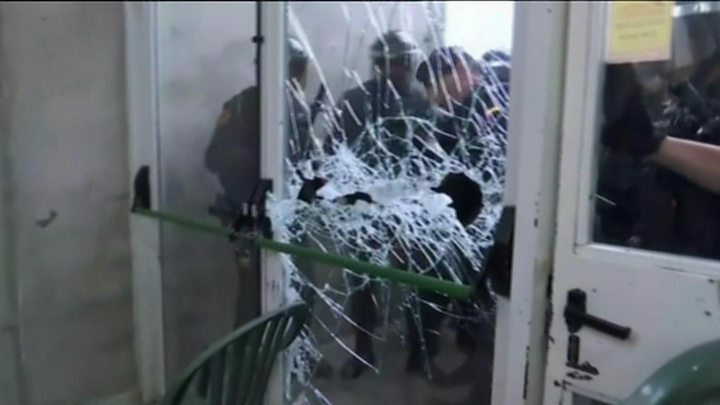 In Girona, riot police smashed their way into a polling station where Mr Puigdemont was due to vote, and forcibly removed those looking to place their ballots. Mr Puigdemont was able to vote at another polling station. 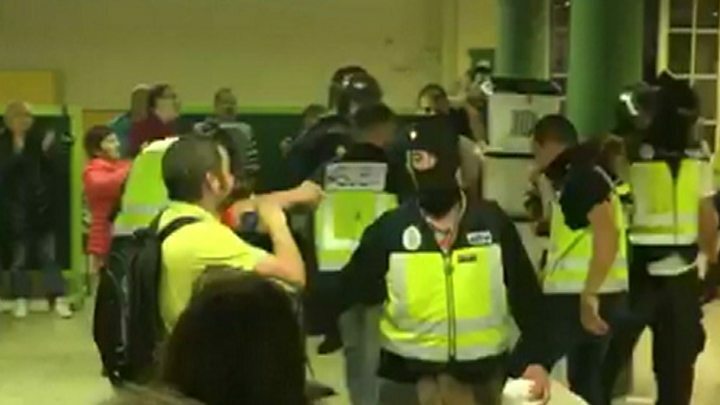 The BBC’s Tom Burridge, in Barcelona, witnessed police being chased away from one polling booth after they had raided it. In some areas, farmers positioned tractors on roads and in front of polling station doors, and school gates were taken away to make it harder for the authorities to seal buildings off. Firefighters have acted as human shields between police and demonstrators. Referendum organisers had called for peaceful resistance to any police action. Meanwhile, FC Barcelona’s match against Las Palmas later on Sunday will be played behind closed doors, after Barcelona said the football league refused to suspend the game. Why is a vote being held? The ballot papers contain just one question: “Do you want Catalonia to become an independent state in the form of a republic?” There are two boxes: Yes or No. Pressure for a vote on self-determination has grown over the past five years. But Spanish unionists argue Catalonia already enjoys broad autonomy within Spain, along with other regions like the Basque Country and Galicia. Why is Madrid so opposed? Spanish Prime Minister Mariano Rajoy says the vote goes against the constitution, which refers to “the indissoluble unity of the Spanish nation, the common and indivisible homeland of all Spaniards”. Central government spokesman Iñigo Mendez de Vigo accused the Catalan government of being inflexible and one-sided, but it is a charge that Catalan nationalists throw back at Madrid itself. Before Sunday, demonstrations by independence campaigners had been largely peaceful. Thousands of extra police officers were sent to the region, many of them based on two ships in the port of Barcelona. The Spanish government has put policing in Catalonia under central control and ordered the regional force, the Mossos d’Esquadra, to help enforce the ban on the illegal referendum. Before the poll, Spanish authorities seized voting materials, imposed fines on top Catalan officials and temporarily detained dozens of politicians. Police have also occupied the regional government’s telecommunications centre.